With the holiday season upon us, we are afforded the opportunity to look back on the year that was. The friends we've both made and lost, the progress or regression in our lives as a whole, the successes and failures on our journeys, and who got knocked unconscious in a caged Octagon. In this instance, and not breaking personal tradition, I'm going to ignore all of the introspective self-improvement garbage and focus solely on my personal entertainment as we look back at 2017 in the Octagon. Four of the eleven titles changed hands in 2017, a couple belts were not defended this year due to various reasons, and a few changed hands multiple times. 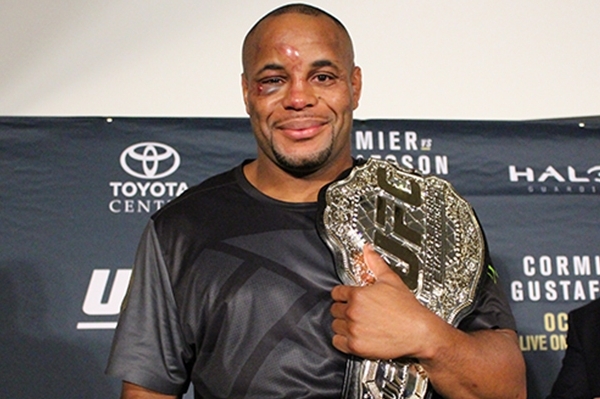 As usual the UFC has shown us that being champ carries a big target and long reigns are the exception, not the rule. Lets travel back to the start of the year and review some of the biggest happenings this year in the UFC. In January we had a free on Fox card that featured eventual title challenger Valentina Shevchenko submitting Julianna Peña. More notably (as it turns out) we saw Francis Ngannou get his first real exposure to national audiences with his first round TKO of Heavyweight contender Andre Arlovski. Ngannou would become a major factor by years end. February saw Ovince Saint Preux hit a three fight loss streak when he dropped a split decision to Volkan Oezdemir. Oezdemir ended his 2017 on a three fight UFC win streak and has positioned himself as the number two contender in the Light Heavyweight division. He got into some hot water with the UFC when he was arrested and charged with aggravated battery in November but remains in line to fight Daniel Cormier for the title in 2018. Travis Browne continued his fading ways as he was KO'd by Derrick Lewis. Browne would lose another match in July. Holly Holm lost a match for the newly created Women's Featherweight title to Germaine de Randamie via decision in a controversial fight that saw de Randamie land multiple hard shots after the bell two different times. Most felt she should have been docked points, which would have ensured a Holm victory or at least a draw. In March we got to see Woodley vs Thompson 2 after the two fought to a draw previously. Woodley retained his belt and Dana White seemed to insinuate that no one wants to see Woodley vs Thompson 3. I'd agree. However, if Thompson retains his challenger spot and possibly picks up an interim title in Woodley's absence due to shoulder surgery, it's gonna happen. Also in March, Mark Hunt saw his first action of the year, taking a loss at the hands of Alistair Overeem. The Reem will be making a very noticeable appearance at the end of the year. April was about the time the Mayweather McGregor bout seemed to become a real possibility. The two sides had had some back and forth but talks seemed to gain a lot of traction in April. The fight was agreed upon in May and made official in June. In May we saw Heavyweight Champ Stipe Miocic and Women's Strawweight Champ Joanna Jedzrejczyk successfully defend their belts at UFC 211. Joanna would fight again before the year was out while Stipe entered into a contract dispute with the UFC and has not fought since. June saw Holly Holm rebound from her title loss and plant herself back in contender status. We also saw Rafael Dos Anjos secure the first of what would become a three fight win streak as he vaulted himself near contender status in the Welterweight division by year's end. The interim Middleweight belt was contested in July where we saw Robert Whitaker defeat Yoel Romero. This seemingly set up a long-awaited bout between Michael Bisping and Whitaker but it would not come to be. At the end of the month was the long awaited Jones vs Cormier 2. Cormier was violently knocked out with a high kick as Jones re-took the belt, which he would relinquish soon thereafter due to a failed USADA test. Also on the card with Jones / Cormier was a title bout between Tyron Woodley and Demian Maia which saw the least combined strikes thrown in a bout in UFC history. Congratulations boys! August saw a near shut down in the UFC as Mayweather McGregor loomed. We watched it. It was fun. Enough with the crossovers please! Mayweather is talking about getting in the Octagon? Enough! 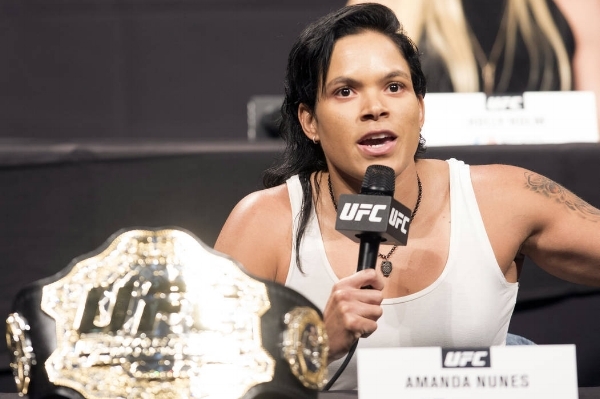 Amanda Nuñes defended her belt against rival Valentina Shevchenko in September, a month which also saw the UFC come to the Burgh. October saw Demetrious Johnson obtain the longest title defense in UFC history with his crazy submission of Ray Borg. At that same event Tony Ferguson was crowned the Interim Lightweight Champion with the title being held by none other than Conor McGregor. November was where the fun happened. 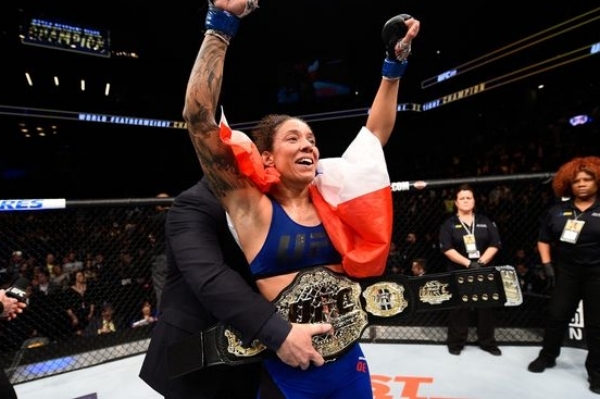 Georges St Pierre made a triumphant comeback to take the Middleweight Title from Michael Bisping, Cody Garbrandt lost his belt to TJ Dillashaw, and Joanna Champion finally dropped one at the hands of Rose Namajunas. Oh. This was all on ONE night. Three titles changed hands in a matter of hours! Michael Bisping would fight three weeks later in China and get beaten in pretty rough fashion. He is looking for a retirement fight in London next year. In December we saw Max Holloway unify the Featherweight belt with his defeat of all time great, Jose Aldo. The night would mostly be remembered for Francis Ngannou's near decapitation of Alistair Overeem. Seriously, watch that KO if you haven't seen it, it's something straight out of a video game. Robbie Lawler lost a fight to the aforementioned Dos Anjos. I think I've mentioned before that Robbie was one half of the greatest fight I've ever seen and it hurts to say, but it looks like he's fading. UFC 219 is coming up on New Year's Eve Eve (December 30th). Cyborg will defend her Featherweight belt (which she won from beating up what looked to be a substitute teacher after de Randamie vacated the belt) against Holly Holm. Also on the card, surging lightweight Khabib Nurmagomedov will face UFC veteran Edson Barboza in a match that will decide who gets to take on Tony Ferguson for the interim bout, or who gets the eventual shot at the winner of a Ferguson / McGregor unification bout. Looking into next year, there is no match bigger that the upcoming clash of Heavyweights between Stipe Miocic and Francis Ngannou at UFC 220 onJanuary 20th. Stipe has to be a little shaken by what Big Frank did to Overeem, right? Enjoy your holidays, and see you next year, UFC fans! Jan 19 UFC 220 Preview: Stipe vs. Ngannou - "Someone Is Taking A Nap"